The Hospice team needs additional support staff to ensure that patients and their families receive some extra special attention and care. Support staff add that extra level of care which makes the Hospice such a special place. with you...I don't know how we'd have survived without Mary Potter and all it entails." 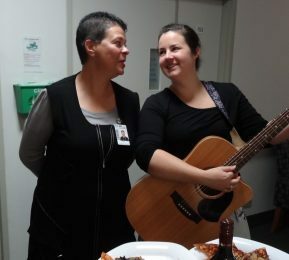 Your gift of $30 will provide one hour of support staff time to the Hospice team. Your gift of $60 will provide two hours of time needed to coordinate a special event for patients and their families in the Hospice.